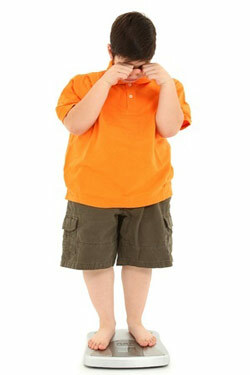 Childhood obesity – an overweight child usually grows to be an obese adult. Childhood obesity is a growing epidemic in the United States. It affects more than 30 percent of children, making it the most common chronic disease of childhood. This number has more than tripled since 1980. Today, more and more children are being diagnosed with diabetes, hypertension and other co-morbid conditions associated with obesity and morbid obesity. As many as one out of every five children in the U. S. is overweight or obese, and this number continues to rise. 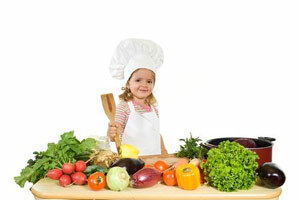 Children have fewer weight-related health and medical problems than adults. However, overweight children are at high risk of becoming overweight adolescents and adults, placing them at risk of developing chronic diseases such as heart disease and diabetes later in life. There are also psychological effects: Obese children are more prone to low self-esteem, sadness, stress, negative body image and depression. And excess weight at young ages has been linked to higher and earlier death rates in adulthood. Some parents think that a child will grow out of their fat body as they get older and that somehow the fat will turn in to muscle. Not true. It’s an erroneous assumption that will lead to very bad consequences if the problem isn’t addressed at the causal level. It has been my experience that kids become obese not because of their genes – most likely it gets passed down through the ‘fork habits’ of their parents. Children become overweight and obese for a variety of reasons. The most common causes are a lack of physical activity, unhealthy eating patterns, or a combination of these factors. Sometimes genetic factors are involved, but the new science of epigenetics says that we turn on ‘fat genes’ when we eat terribly and don’t move our bodies. Only in rare cases is being overweight caused by a medical condition such as a hormonal problem. A physical exam and some blood tests can rule out the possibility of a medical condition as the cause for obesity. You have to practice what you preach. If a child needs to trim down, involve the whole family in healthy habits so your child doesn’t feel singled out. If a child sees you eating yourself into an obese body, the ‘do as I say, not as I do’ approach will never work (unless of course they have peers who are following a healthier lifestyle). Also, physical activity is also very important. Kids need about 60 minutes each day. It does not have to happen all at once. Several short periods of activity during the day are just as good. Allowing kids to participate in the growing, consumption and cooking of their food makes a difference in whether or not they eat their veggies. If you don’t have a garden, bring your children to the supermarket or farmers’ markets and involve them in the choosing of foods. Let them help prepare it when you get home. Explain the consequences of eating unhealthy foods: they cause disease and make you overweight. Give them the facts, plain and simple. If you put a strict ban on too many foods, you’re setting the stage for rebellion later in life. Create delicious, healthy alternatives so they do not feel deprived. So, if they eat unhealthy food at a birthday party, explain to them why it’s not great for them. Ask them how they feel — more than likely not so good after the sugar rush has worn off. Teach your children well in positive lifestyle choices. Their life thirty years down the road may well depend upon it.